You’re watching the TV ads about the glories of cruising, and want to experience it yourself. But where do you start? Let’s cover a few suggestions on how to find the right cruise for you. 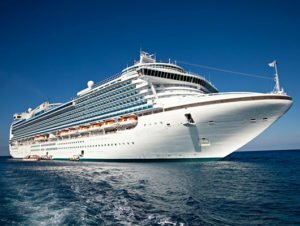 Get the right fit: Last night, I talked with Susan at an event, and she related a recent cruise experience that left her and her husband uncertain about the whole idea of a cruise. When she told me the line they sailed, I immediately understood her disappointment. They were looking for an upscale, adult experience and chose a cruise on a mass market, family oriented ship. That’s like putting a round peg in a square hole – not a good fit! How do you avoid the same disappointment? First, when working with an experienced travel agent, their knowledge of the various cruise lines and of your interests should prevent that mistake. Second, understand the variables and make a good choice based on knowledge. There are dozens of cruise lines in the market today. Each caters primarily to a specific audience and gears their accommodations, on board activities, and entertainment to their primary audience. Knowing the lines that best fit your interests and personality will narrow the possibilities. Destination knowledge: Next, is knowing the destination of interest. Some lines are more heavily involved in certain destinations; others may go there, but don’t have the depth of knowledge of the other lines. Budget: Your budget is another factor, as that varies widely as well. However, be sure you are comparing apples to apples. Some of the less expensive lines are including only the cruise fare, port charges and government fees in the base price. You are going to pay additional fees for gratuities, beverages, dining in all but the basic restaurants. When you add those costs to the basic cruise fare, you may have a better value in the lines that charge more in the cruise fare, but include those features in the fare. Consider all options before selecting the one that best fits your pocketbook. From mass market (think Target/Walmart) level to luxury lines (think Saks/Nordstroms) and in between, there literally is something for everyone. Matching you to the line best suited to you is the goal. Line chosen, now what? You’ve settled on the cruise line and itinerary that fits your interests, but the choices are not over yet. What room category is best? Cruise ships have 4 basic room types: inside, outside, balcony and suites. Within the room types there are multiple categories, which can be confusing. When a cruise line has a promotion for “two category upgrade”, you might think that means you can reserve an inside room and get upgraded to a balcony. No, that means you will be upgraded from the lowest inside category (in the worst location of the ship) to a higher level inside category (in a better location). On most lines, there are 5 – 8 categories of each room type. The rooms are similar but the size and location are the variable. As you get the better location and larger category in the room type, you will pay more. What type are you? Inside, outside, balcony or suite. . . what fits you? The more space you have, the better view in the room, the more you pay. So, does it really matter? Some people say, “I’m only in the room to sleep and change”. But is that true? Inside rooms are on the interior of the ship and have no view of the exterior. For those who have motion concerns, this is typically a bad choice. My husband, for example, has serious issues with motion, and on his first cruise, thought the interior would be preferable. We learned the hard way that was not the case! Having no view of the outside, not being able to see the horizon, further disoriented him and increased the motion problems. On the next cruise, we chose a balcony room, and having that horizon view made all the difference. Balcony rooms will provide more space, better amenities, and that wonderful balcony on which to relax. I love having my coffee in the morning or wine in the evening in my bathrobe on my balcony. Watching the sunset over the Pacific, or a sunrise in the Caribbean is magical; the comfort of enjoying in my private space adds to the pleasure. Outside rooms, in my opinion, are largely a waste. Most cruise lines realize that and only have a few on today’s ships. They are usually on lower decks; typically, on the same deck as the life boats, as they save the better locations for the balcony rooms. The price difference between and outside and balcony is so minor, almost everyone opts for the balcony. Suites are a unique circumstance as some people mistakenly believe it will cost less to have more people share a suite than to purchase multiple rooms. That is not usually the case. Suites are for those who are willing to pay for the additional space and amenities offered. Surprisingly to many, these are typically the spaces that sell out first on a ship. For parents with small children, or teens, it may be the best option to assure you have your children in your room, but don’t assume that sharing a suite with your friends will save money over separate rooms. Room selected, but where? Now that the room category is determined, there are still a few decisions. The room location is important, too. Ships require a lot of walking, no matter what size ship you select. Some are the size of a small city, with 14 or 15 decks of wonder. Even the smaller ships with 6 – 8 decks will mean you are walking further for your meals than to your kitchen, so consider that in the choice. I always look for mid ship rooms, both from fore to aft (front to back) and mid ship from top to bottom. If you are in the middle of the ship you will probably have less motion awareness in your room. You will also be walking less as everything is about equi-distant from fore to aft. · Having residential above and below. You don’t want the noise of restaurants, the pool or casino keeping you awake if you like to head for bed before the wee hours of the morning. · A little distance from elevators/stairs. This is the most heavily trafficked area of the ship, with people coming and going from early morning to late at night. Some people think it’s going to save steps to be at the elevators, but I prefer to be a couple of doors away to save on traffic noise. · Room closest to the higher room category. Frankly, the higher room category is considered a better location by the cruise line, so I look for the room in my category that is adjoining the next step up. Whenever possible to obtain, that’s the room I secure for myself and my clients. Other room needs: If you are traveling with others, do you want adjoining or connecting rooms? Extended families often want connecting rooms which means there is an interior door that can be opened between the 2 rooms. Adjoining rooms means they are next to one another, but do not have an interior door connecting. On some ships, adjoining balcony rooms can have the divider between the balconies removed to connect the balconies. That provides a larger outdoor space for congregating. For parents with tweens and teens, two rooms can sometimes be a good option. This usually means that you are looking for a balcony room with an inside room across the hall. One parent must be in each room as registered with the cruise line, but how you sleep is up to you. Unless there is a problem, the cruise line doesn’t do a bed check (if you know what I mean). In this case, parents need to be certain they can trust the kids to be responsible with more freedom. Those are a few of the first steps in selecting a cruise line, a destination and room that will get you started with the plans to have an excellent cruise. Check out more details on cruising at other blog articles.